The Enneagram is an ancient and powerful map that illuminates our own internal architecture of consciousness. The word Enneagram is derived from the Greek words ennea (nine) and gram (something written or drawn). Historically taught through oral tradition and movement, the Enneagram describes the distinct habits of thinking, feeling and behaving for each of the nine types, as well as the specific path to wholeness for each type. The exploration of the Enneagram as a spiritual path enables us to develop more choice in how we approach and respond to life, an access point to spiritual and personal healing, and alignment to our authentic self and souls purpose. 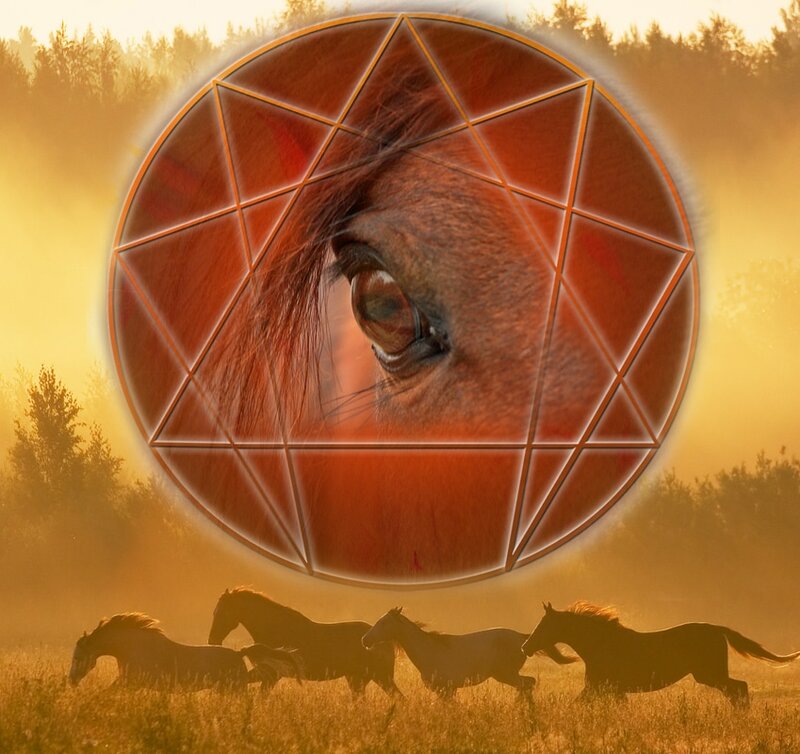 Join us for a two and a half day exploration of the Enneagram and the nine personality types in partnership with horses as our guides. 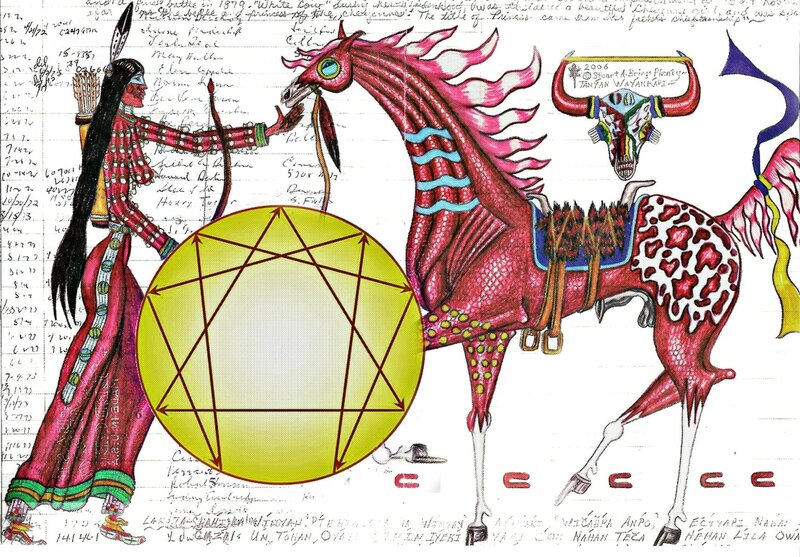 Through a series of informal lectures and Equine Experiential Learning activities, we step into a rich container of exploration of the spiritual dimensions of the Enneagram. Over the course of the two and a half days, we will introduce the nine enneagram types, the movement of each type among the stress and security points, and the holy ideas and virtues that enable each type to gain more conscious access to choice and wholeness. By partnering with horses in our exploration, we will learn how to embody the wisdom offered by each type, as well as successfully navigate the interpersonal, communication, and leadership strengths and challenges presented by each type style.